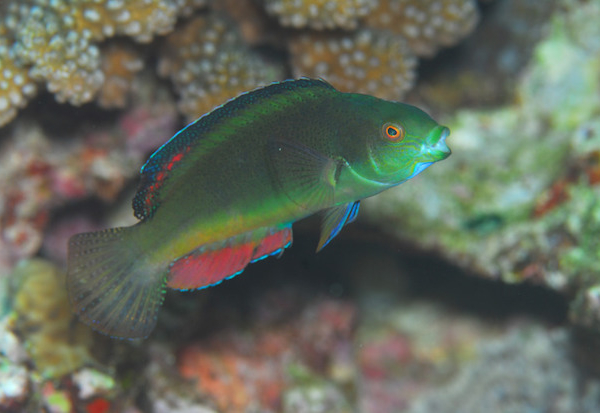 The Margin Wrasse can be tough to get to eat in the beginning. It will drive in the sand and you may not see it for days at a time, so a sand bed is needed. It should be kept with other peaceful fish.